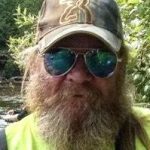 David M. Smith, 61, longtime resident of Norvell Township, passed away at his home March 8, 2019. David is survived by son, Damien (Karly) Smith of Big Rapids; grandson, Shain Smith; and great-grandson, Oliver Marchyok; daughter, Emmie (Bill Benton) Wedeking of North Carolina; grandsons, Skylar Treibley and Craig Williams; step-grandson, Will Benton; sister, Dee (Kevin) Condra of Napoleon and her children, Kasey, Joe and Ashley; sister, Debbie Hinton of Jackson; nephews, A.J. and Cody; former sister-in-law, Diane Smith Fritz; aunts, uncles and cousins. He was preceded in death by his parents, Albert and Rosalind (Shaw) Smith and his brother, Don Smith. David was a 1975 graduate of Napoleon High School and then Jackson Community College Business Management Program. He worked as a carpenter for the majority of his life. David had a passion for anything outdoors, bonfires, hunting, fishing and sunsets to name a few of his favorites. He was also known for having many pig roasts that he enjoyed hosting for friends and family. A gathering to celebrate David’s life will take place later this summer with details being announced at the appropriate time. Arrangements are under the care of Arthur-Day Funeral Home, Michigan Center, www.arthur-day.com.